Stop taking the abuse - learn how to handle bullies and other difficult people! Is there a difficult person in your life? Do you feel like a victim? Is it time to start asserting yourself? It's time to confront the bullies in your life. Do it now, before the situation gets worse. 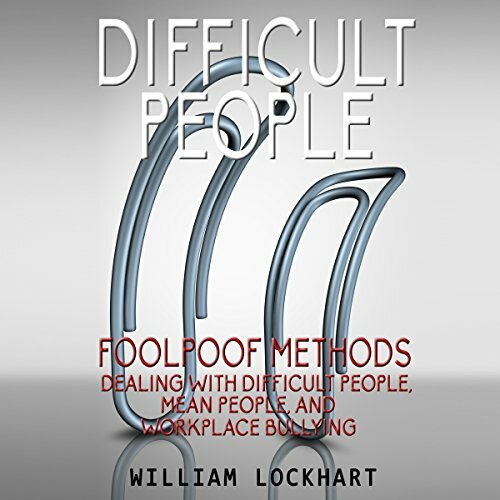 Difficult People: Foolproof Methods - Dealing with Difficult People, Mean People and Workplace Bullying helps you understand the psychology of difficult people and ways to cope up with them. You'll find out how to protect yourself, your co-workers, and your family - take action and start asserting yourself today! It's time to get the respect you deserve! The author has done and excellent job of providing easy solutions to address difficult people. I believe this book should be read by people in the working world especially people who work as part of a team.